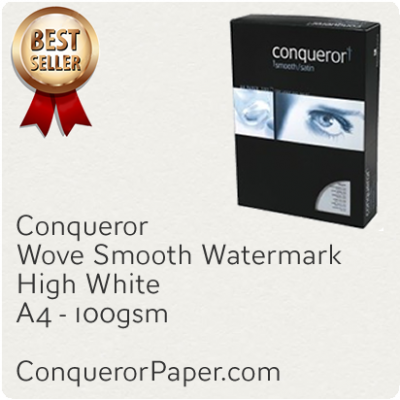 Conqueror Wove couples superb, high-contrast matt printing performance with the warm touch of an authentic smooth Conqueror classic paper. Just arrived are three contemporary new shades of grey that complement the existing range of whites and creams. Are You A Company Or Business? - buying direct for best price, choice and service. - total peace of mind with your own account handler. - earning Reward Points to cash in anytime for money off. Conqueror Wove Envelopes. 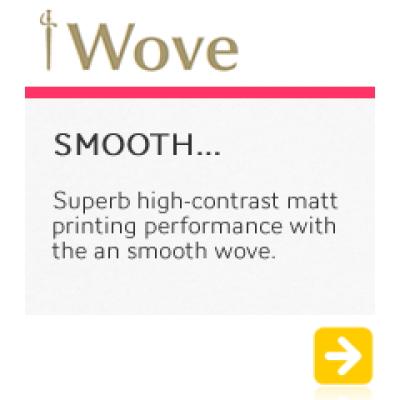 High Quality Conqueror Wove Smooth Envelopes 120gsm Super Sea..
Conqueror Wove Envelopes. 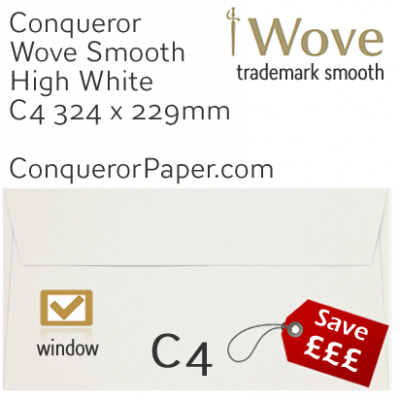 High Quality Conqueror Wove Smooth Envelopes 120gsm Super S..
Conqueror Wove Envelopes. High Quality Conqueror Wove Smooth Envelopes 120gsm Super..
Conqueror Wove Envelopes. 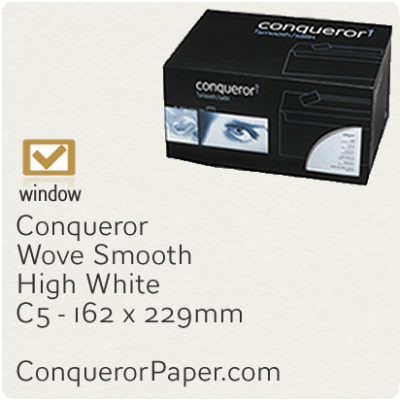 High Quality Conqueror Wove Smooth Envelopes 120gsm Sup..
Conqueror Wove Envelopes. 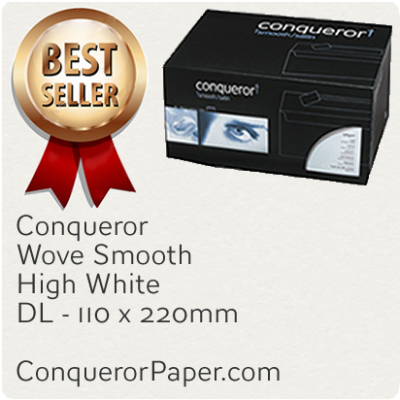 High Quality Conqueror Wove Smooth Envelopes 120gsm S..
Conqueror Wove Paper. High Quality Conqueror Wove Smooth PaperBeautiful premium quality Conqueror, i..
Conqueror Wove Paper. 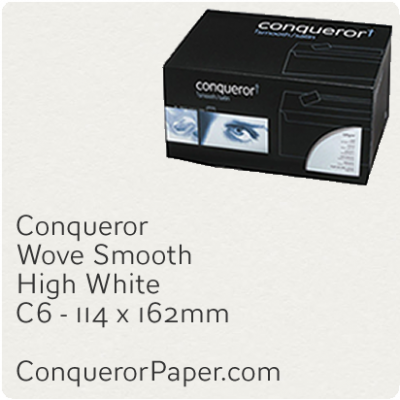 High Quality Conqueror Wove Smooth Paper ..
Conqueror Wove Paper. 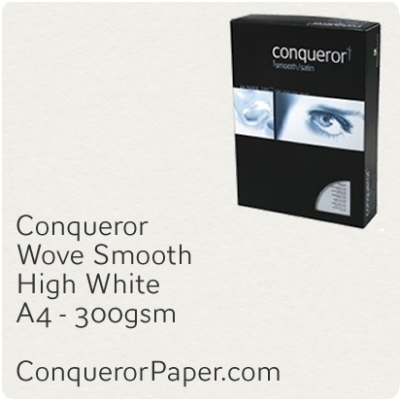 High Quality Conqueror Wove Smooth Paper Beautiful premium ..
Conqueror Wove Paper. 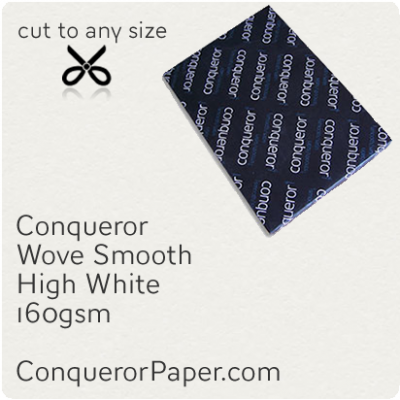 High Quality Conqueror Wove Smooth Paper Beautiful premium quality .. I like my paper, thank you for fast speed. .. Helpful service and speedy delivery. Haven’t found my paper cheaper anywhere else. .. I'm a designer and a regular customer of Conqueror in all paper and envelope sizes. Asked to review so: Excellent quality, service and price. I would no longer dream of looking anywhere else. Ke..
hanks for completing and delivering the order so quickly, very pleased. Carol Tyson, Registration Manager Resources Department Bromley Civic Centre..
We need our envelopes and paper quickly and efficiently. Conquerorpaper.com have never let us down. We’re loyal customers. ..
Have used this paper for years now, love it. The price and service here at Conqueror Paper UK is superb..
Quality product, quickly delivered and brilliant communication via email. Well done each of you at Conqueror paper..
we have experts on hand to support your choices. © Copyright Conqueror-Paper.co.uk. All Rights Reserved.